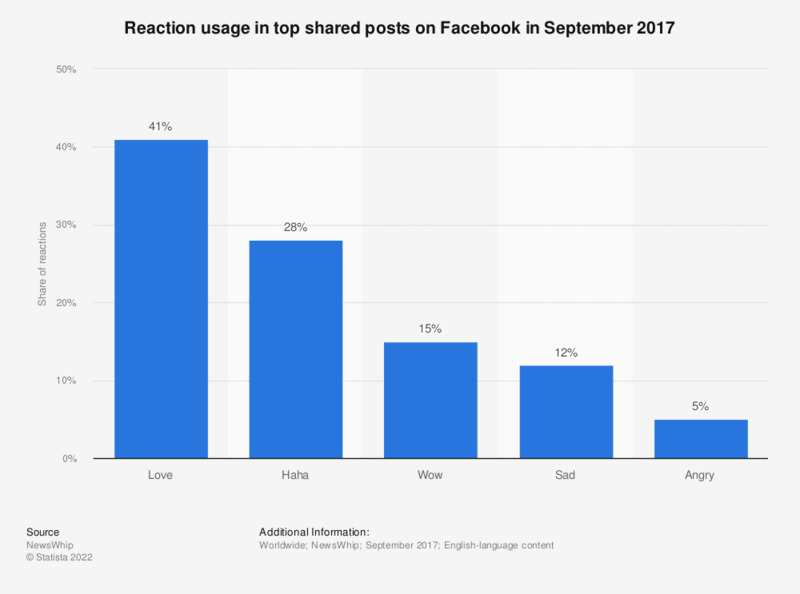 This statistic presents the reaction usage in top shared posts on Facebook in September 2017. During the measured period, Love was the most popular Facebook reaction on top shared posts on the social network. Data is based on analytics for top 200 shared posts across 60 publishers on Facebook.